Fifty years ago, the AR-10 rifle design of Eugene Stoner seemed to be a commercial failure, with limited sales overseas, and almost none in the USA. 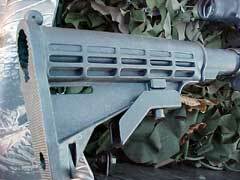 The AR-10 was an excellent design, but was way ahead of its time, losing out on the US Military contract to the rifle that would become the M-14. The AR-10 was later scaled down to accommodate a new .22 caliber center fire military cartridge, and was designated the M-16. Over the past dozen years or so, the old AR-10 design has been resurrected, and has now become very popular with civilians, and has also had some success with the US Military for special units, providing more power and greater range than the M-16, and it especially outperforms the current short-barreled M-4 carbines. 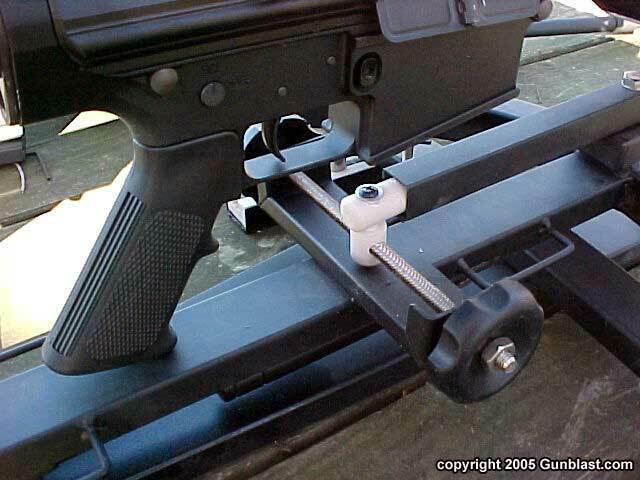 The problem with many current AR-10s is that they are just too heavy for anything but a bench gun. 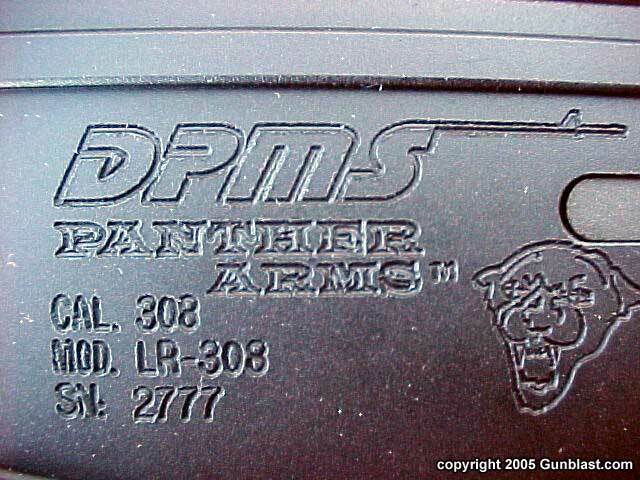 Thankfully, some manufacturers are building lighter versions of the AR-10, such as the ones reviewed here from DPMS Panther Arms. We recently received two new versions of their LR-308 and also one of their LR-300 magnum rifles here at the palatial offices of Gunblast.com for review. The one that interests me the most is their AP-4 Carbine. 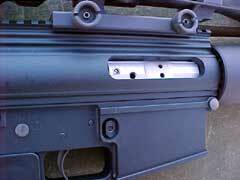 It is a .308 (7.62 NATO) chambered weapon with a relatively light sixteen inch barrel, that has an M-4 style profile. The AP-4 has a three inch flash suppressor, the design of which would make a pretty good weapon in its own right. Poking that thing into someone would leave a nasty wound. 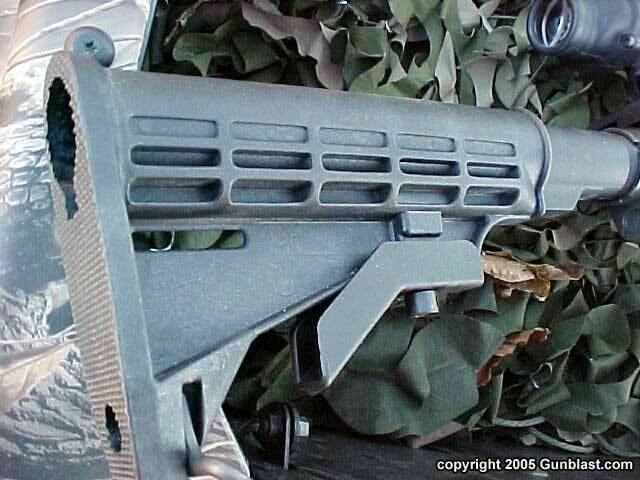 The AP-4 also wears a bayonet lug, and has a handy six-position telescoping buttstock. 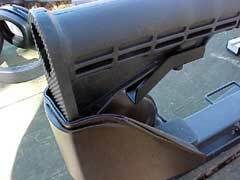 It uses twenty-round metal magazines, which functioned flawlessly during our tests. 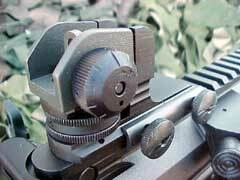 The AP-4 has a removable A2 style adjustable rear sight that attaches to the flattop upper receiver, which has an integral full-length Picatinny rail for the easy and secure mounting of scopes or other optical sights. 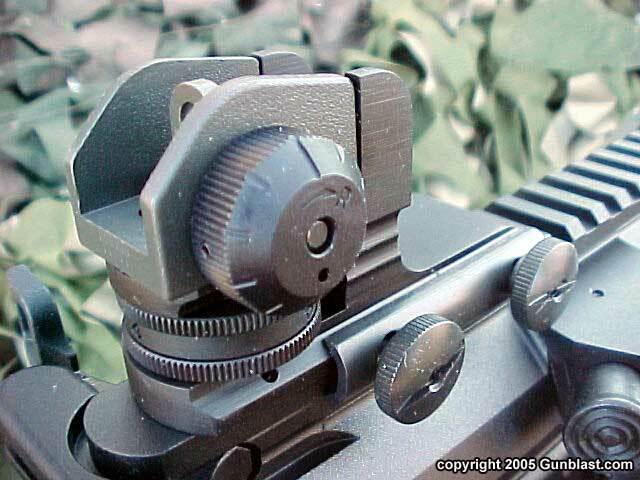 The front sight is the standard A2 type, and is not removable. 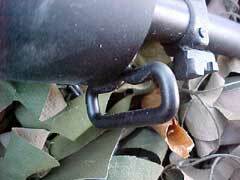 The AP-4 is equipped with sling swivels front and rear, and comes supplied with a nylon web sling and two twenty-round magazines. 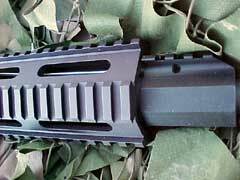 Unlike previous DPMS AR-10 style weapons, the AP-4 has a forward assist and empty case deflector machined into the upper receiver. 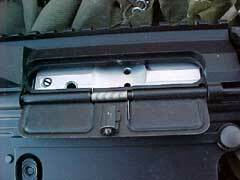 It also has a dust cover over the ejection port. 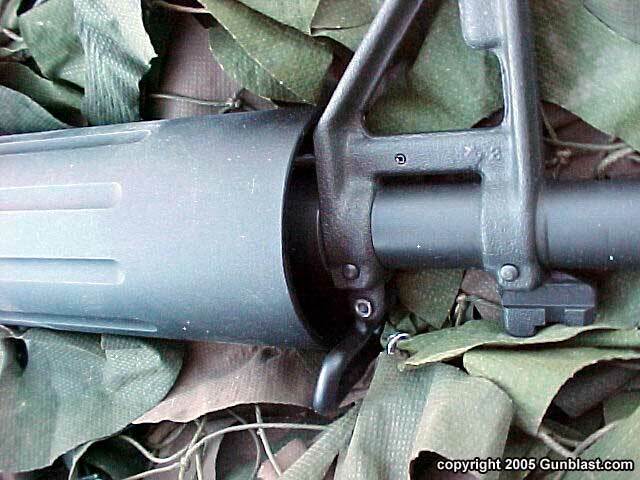 The hand guard on the AP-4 is of the tubular aluminum free-floated type, with lateral grooves machined into its outer surface. 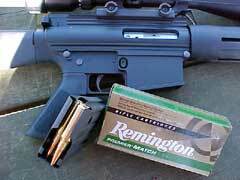 The AP-4 weighs eight pounds and eleven ounces with an empty magazine. 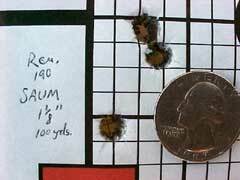 The trigger pull on the AP-4 measured six pounds and ten ounces, and is my only complaint with the weapon. All of the controls are of the typical AR style, and worked perfectly throughout the tests. 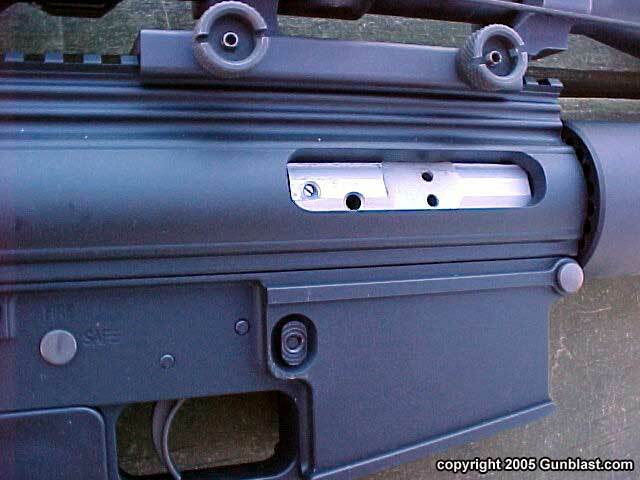 The other LR-308 sent is not a standard catalog item, but was built to show off some of the options available on the weapon. It wears a free-floated hand guard that has four integral Picatinny rails set at ninety degrees apart for the attachment of accessories such as laser sights, lights, infrared, and other such devices to the hand guard. It also has a smooth barrel profile, and has another piece of Picatinny rail integral to the gas block, for a detachable front sight. The third rifle sent to us is chambered for the .300 Remington Short Action Ultra Mag cartridge (SAUM). 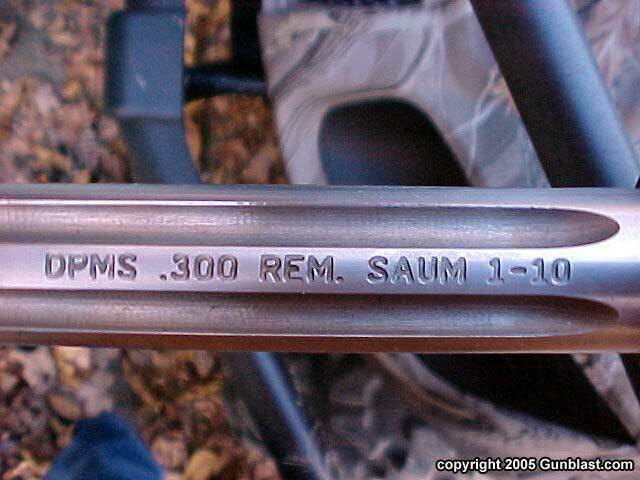 The SAUM rifle wears a twenty inch stainless fluted barrel with a one-in-ten inch twist, and is especially useful for firing long, heavy thirty caliber bullets at long range. 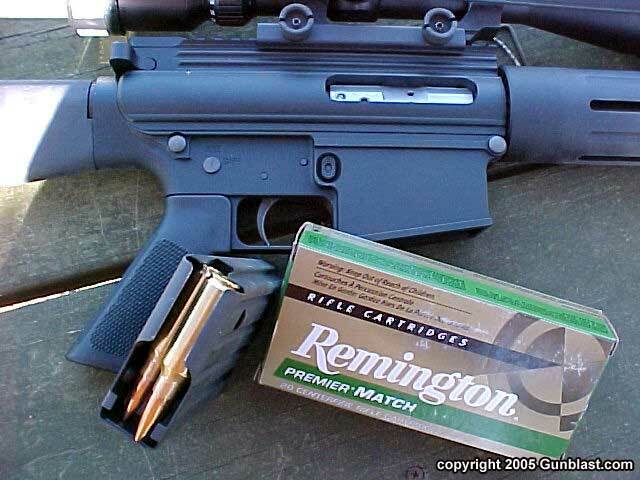 The Remington Match ammo tested fired a 190 grain bullet at 2741 feet-per-second (fps) from the twenty inch barrel, measured at ten feet from the muzzle. 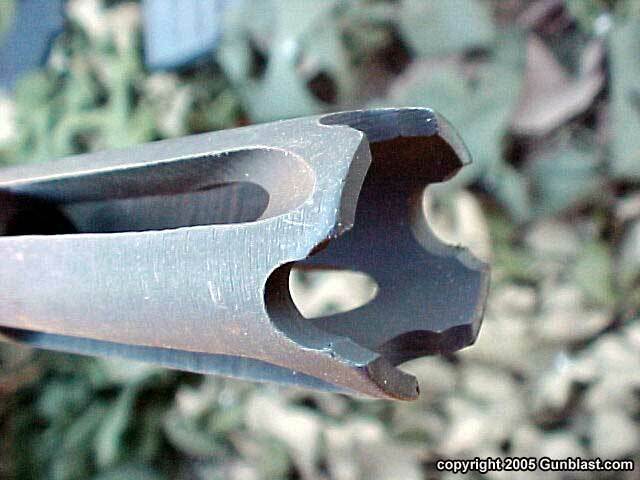 This is a significant advantage over the .308 Winchester (7.62 NATO) cartridge fired from the AP-4, which launched a 168 grain bullet at 2475 fps from its shorter tube. The disadvantage is that the .300 SAUM carbine weighs almost two pounds more, and its magazine holds only four cartridges instead of twenty. 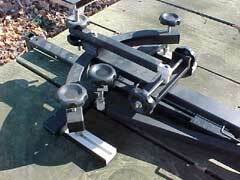 However, it does pack a heavier punch, and has a flatter long-range trajectory. 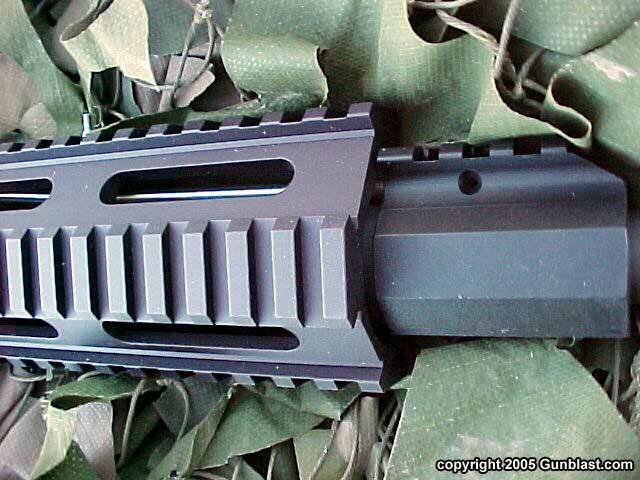 The upper receiver of the SAUM is of the "slick side" type, with no case deflector or forward assist. 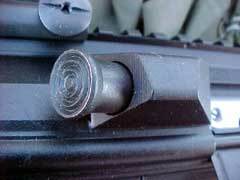 The only malfunctions with the .300 SAUM rifle was that the bolt did not lock open after the last shot. 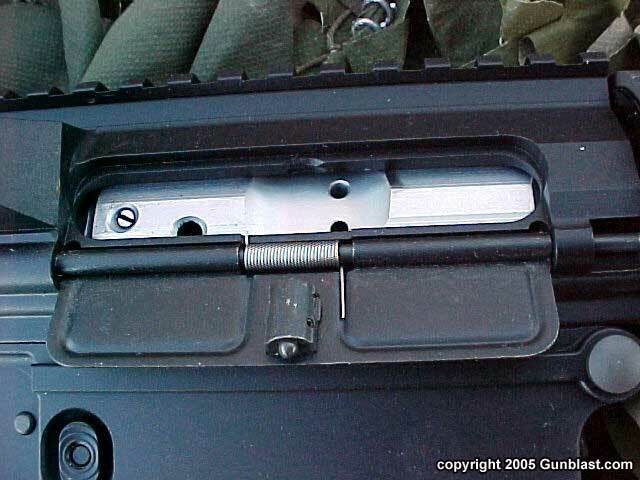 The latch was working properly, but the ammo did not fully retract the bolt to activate the latch. Perhaps another type of ammo would work just fine, but I had only the one type available. Accuracy of the weapons tested was very good. 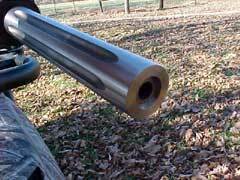 The .300 SAUM grouped into one and one-eighth inches at 100 yards. It would usually put two out of three close together, and throw the third out, opening the group up to just over one inch. Most likely, the heavy trigger pull is to blame for this. A good trigger job could lighten the pull, and make the weapon much easier to shoot accurately. 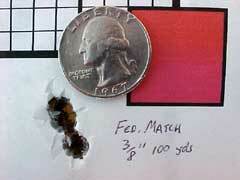 The trigger pull on the .300 SAUM measured six pounds and eleven ounces. 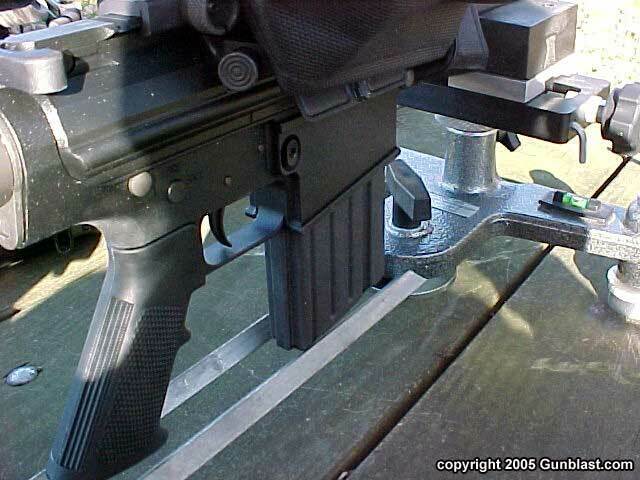 A better shooter might be able to make better use of the stock trigger, but I have been spoiled by using match triggers on most of my ARs. 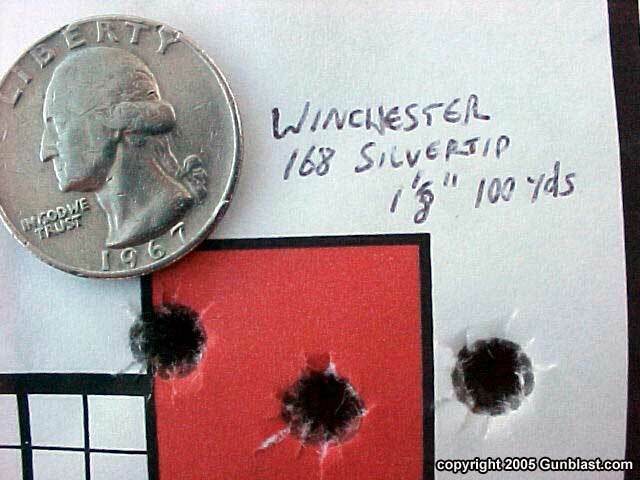 I also believe that trying other loads in this carbine could improve upon its accuracy. 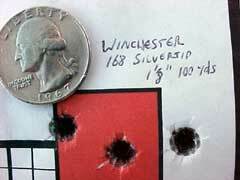 The accuracy of the .308 AP-4 was outstanding, despite the heavy trigger. As can be seen in the picture, this little carbine produced groups measuring just three-eighths of an inch at 100 yards using Federal Gold Medal match ammo. I was impressed. That is fine accuracy from what is essentially a battle carbine. I also tried out a new recoil-absorbing rifle rest from Hyskore while shooting these DPMS Panther carbines. I believe that the rest will prove more useful with bolt-action weapons. While it did a dandy job of soaking up recoil, the long magazines could not be used with the Hyskore rest, as they could with the Target Shooting Model 1000 rest. 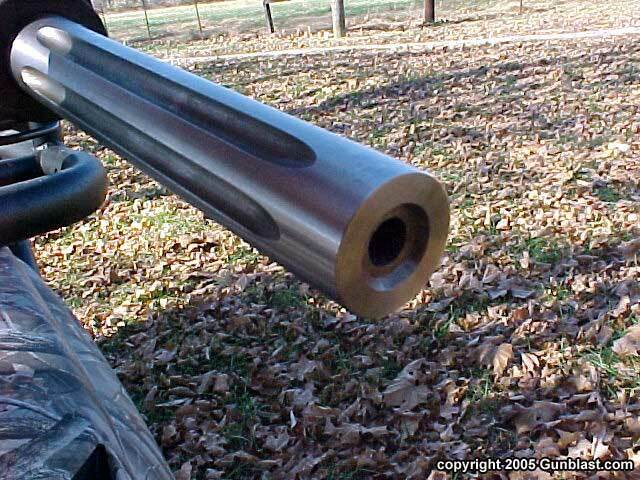 I have a couple of .375 H&H Magnum rifles to test in a couple of weeks, and the Hyskore should get a good workout with those. 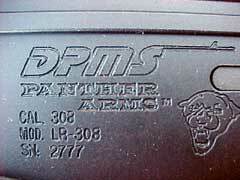 I was very pleased with the DPMS Panther carbines, especially the AP-4. We keep hearing reports of the 5.56mm cartridge failing to penetrate cinder block houses and other obstacles in Iraq. The US Army and Marine Corps should order a few hundred of these Panther .308 carbines and put them to immediate use. They weigh just one and one-half pounds more than the M-4, but pack a lot heavier punch. 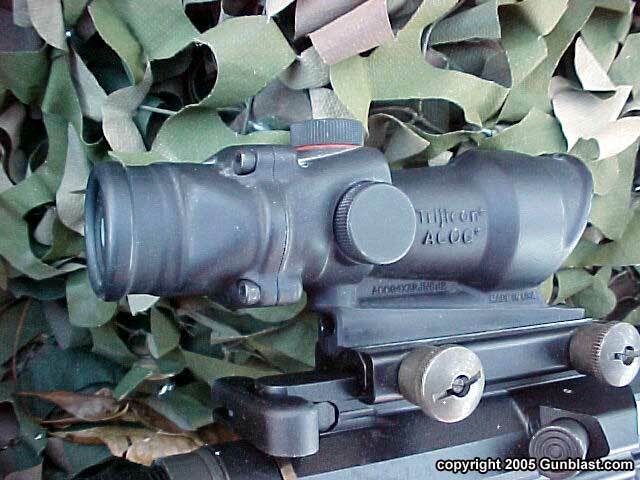 One on every rifle squad should prove very useful. 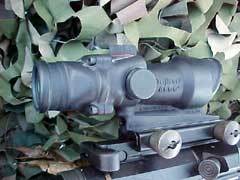 Also, for a person wanting a good home defense rifle that can do double duty for deer hunting, the Panther AP-4 should prove ideal. Check them out online at: www.dpmsinc.com. 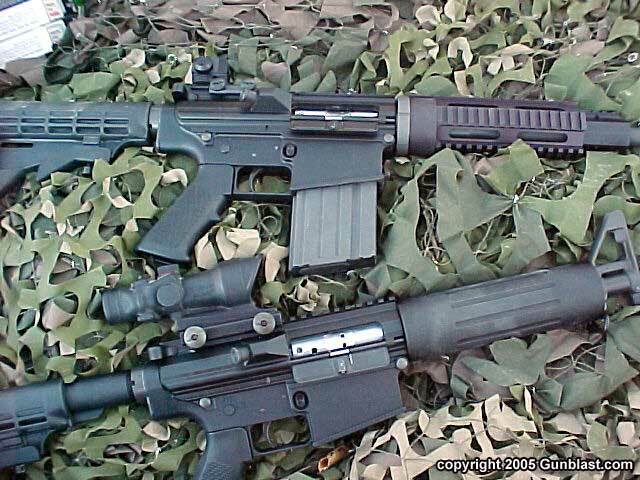 DPMS' LR-308 carbines in .308 (7.62 NATO). At bottom is the standard-issue model, with the "tricked-out" version above. The standard LR-308 features include (top to bottom): brass deflector and forward assist, dust cover, aluminum tubular handguard & standard A2 front sight, removable A2-style rear sight, six-position telescoping buttstock, flash suppressor, and sling swivels. Optional handguard with four Picatinny rails and gas block with rail. 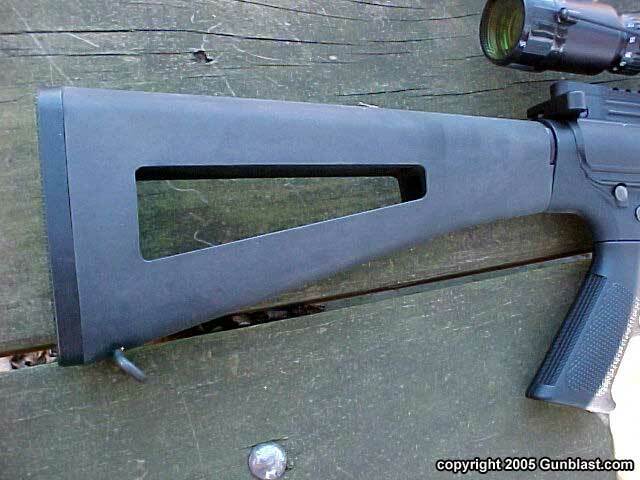 .300 Remington SAUM model features a heavy stainless fluted barrel with a 1-10 twist, "slick side" receiver, and unique skeletonized buttstock. 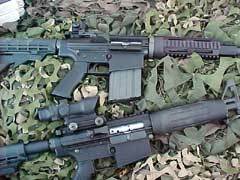 The DPMS AR-10s proved to be very accurate rifles. Hyskore's new recoil-absorbing rifle rest. For AR-type rifles, author prefers the Target Shooting Inc. Model 1000 rifle rest to all others.